I am writing my second article about earning money online. I hope you have already read my first article about the quiz contest and started earning. Though the quiz contest was only for Bangladeshi residents, but this article is for people around the world. I am going to tell you about Google AdSense today. This is also a free earning opportunity; I meant you do not have to invest money to grab this opportunity. As you may already guess, this is another product of Google. 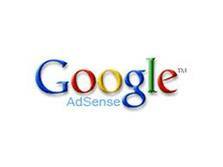 Google AdSense program is another relative part of Google AdWords. No doubt, Google has been conquering the internet market for many years now. Google is the number 1 search engine. About 95% internet users search through Google to search their desired information. So the advertisers like Google mostly and they like to advertise their sites by Google. When you search in Google, you may have noticed “sponsor links” at the top or at the right side of the page. Those are the advertiser’s link and they pay Google for their advertisement through Google AdWards program. The advertised pay Google for every click on their link. Now web masters can add those advertise in their website too. Eventually, webmaster will get paid if visitors click on the link. Google will pay the webmaster a part of the amount that was paid by the Advertiser to Google. This way being a part of Google, you also can earn money. What i do not realize is in fact how you're no longer really a lot more neatly-appreciated than you may be right now. You are very intelligent. You know therefore considerably when it comes to this topic, produced me for my part imagine it from so many varied angles. Its like women and men aren't involved except it's something to do with Girl gaga! Your own stuffs excellent. At all times deal with it up! If you're looking for a solid contextual ad company, I recommend you take a look at ExoClick. Guess what? This is exactly what big companies are paying me for. They need to know what their average customer needs and wants. So large companies pay millions of dollars per month to the average person. In return, the average person, like me and you, fills out surveys and gives them their opinion. Discover how 1,000's of individuals like YOU are working for a LIVING from home and are fulfilling their wildest dreams TODAY.